Parent/teacher appointments, professional or medical appointments, dinner with friends, dance competitions... nothing about you and your family will escape you with the Family Calendar file. Simple and airy, it will inform you about the week's activities in no time. 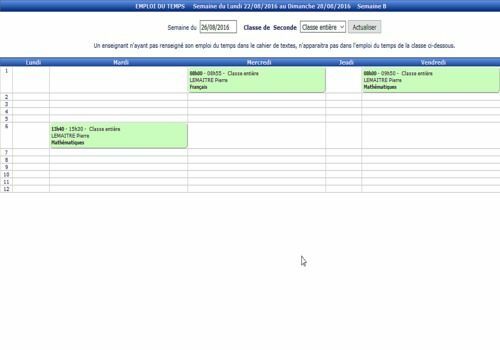 Timetable is a simple to use software that will allow you to optimize the management of your working time. With its spreadsheet-like interface it will allow a quick and efficient visualization of the recorded tasks. This Application is a simple way to record tasks or events, its particularity lies in the ability to manage notification triggers in an intelligent way. A practical and simple tool, for personal use or to share agendas within the same structure, including a telephone directory common to all users.